Delivering the company Annual Report isn’t always as straight forward as we’d all like to think. 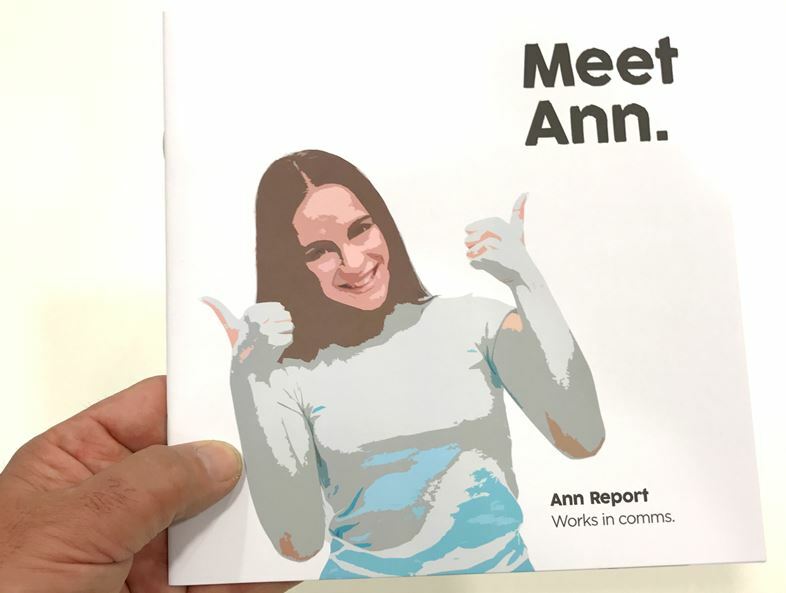 Ask Ann Report (she works in Comms). Ann has to make sense of numbers supplied by her friend in finance (Adam Up); learn how to speak the language of IT; organise a photography shoot with no brief; impress her CEO making it better than last year (whilst reducing costs); and manage the whole content in a format she hadn’t exactly had in mind. Sound familiar? Well we like Ann because she realises the importance of bringing in an expert, but she could’ve saved a lot of time and hassle by calling us at the earliest opportunity. So if you’re in the process of planning your Annual Report speak to us first. Because contrary to belief resource can actually save you time, money and a lot of hassle. And a delighted client like you (or Ann) can take all the credit for a project well delivered. We work on oodles of creative Annual Reports every year including printed versions, online versions, video versions and more. It’s what we do best.